Make a bread, chicken chunks?, potatoes, salade, cucumber, carrots, onions, tomatoes, juice, bbq coal, cake, ice, sausage, eggs, olives, crisps, lemonad, cocolate, water, larger, sausage 13^, salmen fish. 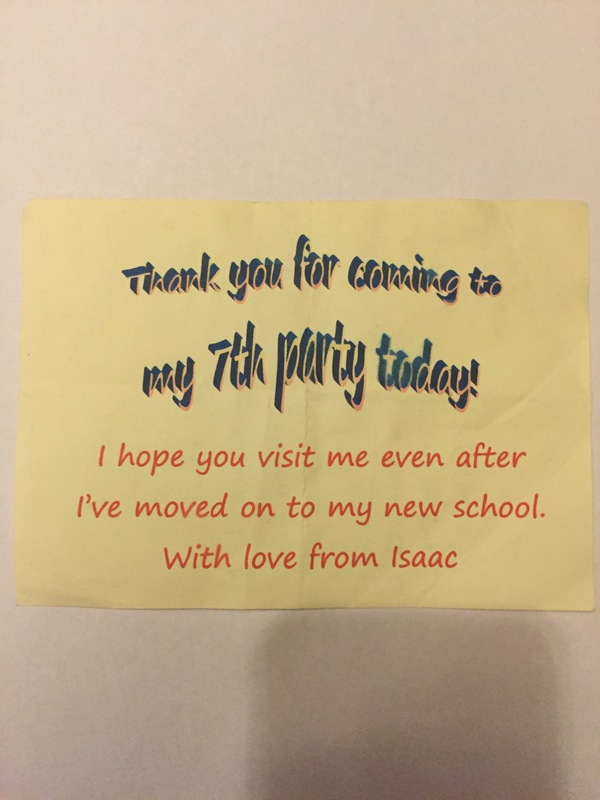 A poignant message from Isaac on the rear. Unknown location and date. Probably Spring/Summer 2013. 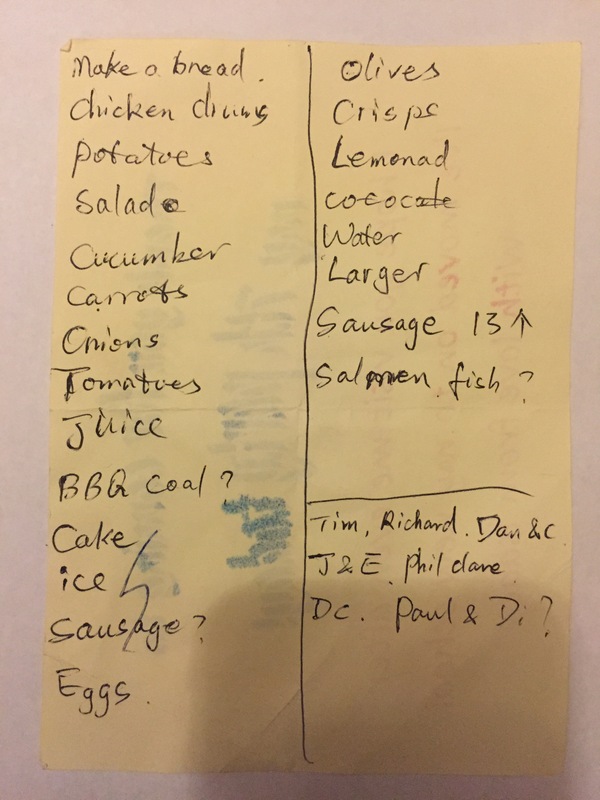 Isaac’s leaving bbq for 13 – each have a sausage, salade and lemonade – the parents will have chicken in a tomato sauce and lager.